September is Ovarian Cancer Awareness Month. 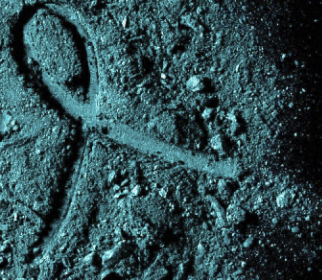 It’s estimated that 1 in 71 women will develop ovarian cancer in their lifetimes. But when detected early, survival rates are quite astounding. My favorite way to support a cause is to give and get! Check out these “shop for a cause” opportunities from your favorite brands, like Laura Mercier… Spread the word about prevention and these super cute finds! ~100% of the profits from the sale of Laura Mercier’s Rose Hope Lip Glace will be donated to the Laura Mercier Ovarian Cancer Fund. This fund promotes awareness and supports educational and research efforts to provide women with the care and treatment they need. Help this important mission and get a great, high quality designer lip gloss in the process? Sounds like a win-win. ~Looking for another great option from Laura Mercier? 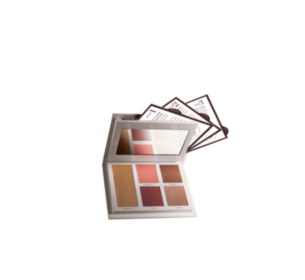 Bonne Mine Healthy Glow for Face & Cheeks Crème Colour Palette is an all in one face palette. Like the gloss, 100% of profits go to the Laura Mercier Ovarian Cancer Fund. ~This delicate bracelet from Ovations For the Cure is a great alternative to the grubby rubber wristband. Ovations promotes awareness of the cause, has intensive patient programs and gains funding for new research initiatives. Check out their site for other bracelet options. And if you are a current ovarian cancer patient or are a proud survivor, check out the Ovations Princess Program for a gorgeous free bejeweled bead and bracelet to show your pride.